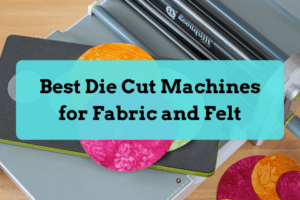 The Sizzix Big Shot is an award-winning die cutting machine that certainly lives up to its name! This machine is dependable, versatile, and backed by Sizzix’s excellent customer service and 3-year warranty. It cuts and embosses, and can use dies and folders from many different companies. The Sizzix Big Shot has a 6″ wide opening to die cut or emboss. The sides don’t fold up like the Cricut Cuttlebug, so it’s not as portable. The larger sides though are an advantage, as you’ll have more space to work with, and you’ll be able to work with extra large dies. The machine weighs 7.5lbs, so it’s not heavy to move around. Sometimes you’ll hear about the Sizzix BIGKick machine. What’s the difference between the Big Shot and BIGKick? They are exactly the same! The only difference is color. They work exactly the same and take exactly the same dies. How does the Sizzix Big Shot work? What can the Big Shot Cut? What dies and folders work in the Big Shot? 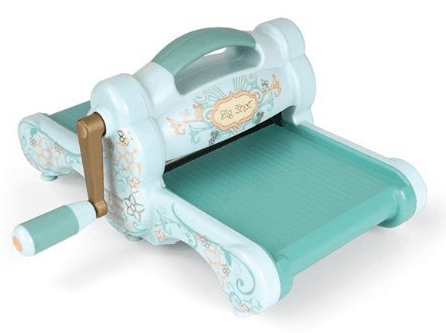 What’s included with the Sizzix Big Shot? Using the Big Shot is easy. Simply place the material to be cut between the cutting plates, and following the directions on the multipurpose platform to get the right thickness before sending it through the machine. If you want a deeper die cut or emboss, try using a shim. A shim is a very thin sheet that is added to your sandwich to give it the extra thickness it needs. You can see how easy it is to turn the handle. Depending on the material and die, it may be tougher to turn at times. The Big Shot is a sturdy machine and has rubber feet to prevent it from moving when you are cutting and embossing. Over time, the Big Shot cutting plates will start to curve. This is normal, and shows how much you love your machine! If your plates do start to curve, flip them over when using the machine to straighten them out. Certain dies, however, will only be able to cut certain materials. Here is a Sizzix Die Cheat Sheet. Virtually all folders that are less than 6″ will work with the machine. I haven’t found any that don’t work! If you are quilting, you the Big Shot is compatible with all Sizzix dies up to their Bigz XL 25″ dies. Be aware that the Big Shot has a 6″ wide opening. If you are interested in using bigger dies, consider purchasing the bigger and stronger Big Shot Pro. The Big Shot comes with all the necessary plates you need. All you need is to purchase your favorite dies and embossing folders. The Big Shot comes with the Extended Multipurpose Platform, which is 14 1/8″ long. The plates, however, are standard size, at 8 3/4″ long. If you wish to use dies longer than the standard sized plates, you’ll need to purchase the extended plates separately. Upon receiving the machine, some assembly is required. The handle needs to be attached with the hex wrench and screw that is provided. No maintenance is required other than keeping the machine clean and free of debris. No oil or lubrication is needed. Sizzix is an excellent company that stands behind their products. The Big Shot is a quality machine that is expected to last and comes with a 3-year warranty. They also have great customer service, which I have personally used on multiple occasions. The Sizzix Big Shot is an excellent machine and more serious crafters tend to enjoy it more than the Cricut Cuttlebug, primarily for its versatility. You can compare the two machines here. The Big Shot can work with dies and folders from many different companies and has a larger working area. It can also work with longer dies for your quilting needs. If you’re looking for a manual die cutting machine and don’t need a whole lot of space, I highly recommend the Sizzix Big Shot. We found the cheapest place to buy the Big Shot is from Amazon. Click below to see the Amazon price and read Big Shot reviews. I hope you enjoyed this review! Please reply with comments, questions or tips! Excellent machine, three-year warranty, and Sizzix provides excellent customer service. I especially like that accessories are readily available at local stores (use coupons) and online retailers at very reasonable prices. 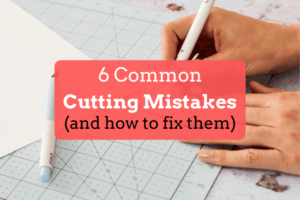 My reason for placing so much importance on this issue is because I have a nice mid-size machine introduced by another manufacturer about three or four years ago, but replacement cutting and base plates are no longer available. The same manufacturer has a new smaller machine on the market, but replacement plates are available only from their website or another site that has exclusive rights to the machine. Granted, the plates last a long time, but when I invest in a die-cutting machine, I want to know that accessories will be readily available for a reasonable amount of time. Can I use svg files with the Big Shot? I just got the machine and it’s very hard to find information. Any help will be greatly appreciated. Thanks in advance. Hi Joellen, the Big Shot is die cut machine that is operated manually. There are no electronic parts and it does not hook up to the computer. Hope this helps! My Big Shot started to only cut one side, shortly after I bought it. Contacted Sizzix, they said it was probably bearings and they would send a bearings kit. Shortly after it arrived I had to go away for a family emergency and was away 6 months. I had not touched the machine since. I wanted to make some Christmas cards, so took out the machine, and the bearing replacement kit, researched how to do it on YouTube, and took the machine apart. It was not the bearings, the frame inside made of some very heavy metal, had broken right through on one side. Contacted Sizzix again, and sent them a photo. Their reply was that my warranty did not apply as I had opened the machine. ON THEIR ADVICE! My opinion of their 3 year guarantee is very low. I have just recently bought a big shot, but think I am doing something wrong.when I use it the die is cutting out properly, but is leaving the design on the top plate.what am I doing wrong. Hi Sheila, this is expected and normal! Oh, so glad you asked that question! I just got mine tonight and it did the same thing. I was worried but glad to know now that’s normal!! I have had my big shot since 2006 and still have the original platform. I don’t use it a great deal. I have recently purchased some spellbinders intricate dies but they are not cutting out I have tried various thickness of card etc for packing but this hasn’t worked. I have used other dies with no problems. Can anyone suggest anything to overcome this problem. Do I need a new platform, if so which one? I purchase a Sizzix precision base plate to cut intricate dies. It works for Sizzix, spellbinders and even generic dies. Have anyone noticed whether the clip (on the Big Shot roller holding the gear in place) comes off or cracking? Ellison customer service says this is normal and it is designed to function that way. I’ve only been die cutting and seldom does any embossing. I’ve called them several times but not happy about this design flaw. Time to look for a different machine as it seems they don’t want to honor their 3 year warranty. What is the thickness of the Big Shot cutting pads?